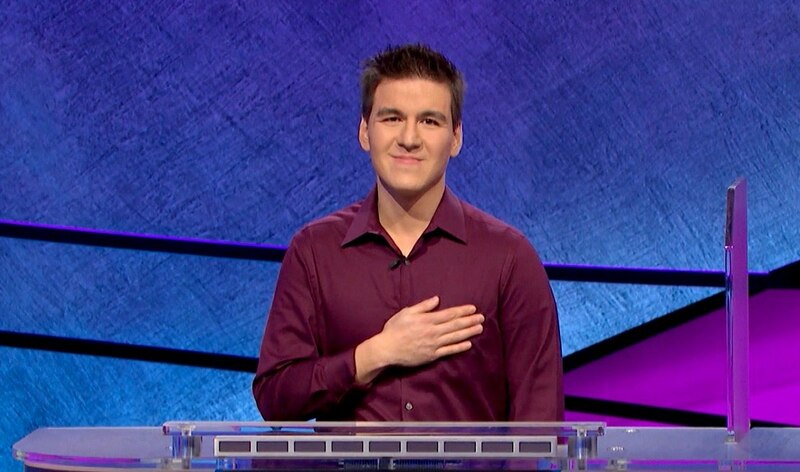 James Holzhauer, a pro sportsbettor from Las Vegas, won Jeopardy! for the seventh episode in a row for a score worth $89,158, which put him into the all-time Top 5 money winners. Holzhauer has now won $415,035 which put him into fourth on the all-time regular play money list. Holzhauer is originally from the Chicago suburbs, but he currently calls Las Vegas his home. The pro sportsbettor has a knack for numbers and random trivia. His aggressive style makes purists cringe. However, it also makes sharp bettors and game theory nerds gush. Match seven pitted Holzhauer up against Mike Dindoffer and Ali Filipowicz. Dindoffer, a writer and teacher from Greenfield, Massachusetts finished in third place with $7,100. Filipowicz, a homemaker from Alexandria, Virginia, took second place with $14,801. Holzhauer aggressively hunts for the Daily Double, which is how the sportsbettor made a big splash in his first Jeopardy! victory last week. In his seventh match, his opponents followed suit and did not revert to a more traditionalist approach. “You have an uncanny ability to find the Daily Doubles,” said Alex Trebek. Despite trying to beat Holzhauer at his own game, Dindoffer and Filipowicz failed to unearth any Daily Doubles. Holzhauer found all three. With over $10,400 in the bank, he wagered $9,812 for the first one in the category “City Adjectives”. In the second round, he wagered $11,914 with $29,212 in the bank. For the final one in the category “Colombia Pictures”, he only wagered $11,022 even though he had $42,726 behind. Thus far, Holzhauer won 14 out of 14 Daily Doubles. As per usual, Holzhauer locked up the victory before heading into Final Jeopardy. 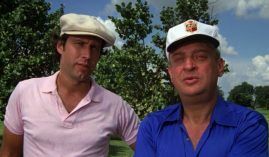 At that point, Holazhauer had banked $58,148, which was more than four times what Filipowicz earned at $13,200. For the Final Jeopardy category “Literary Adapations”, Holzhauer wagered $31,010. Even if he missed the question, Holzhauer would still win. He correctly answered, “What is Farenheit 451?” and won a grand total of $89,158. Earlier in the week, when Holzhauer set the all-time record with $110,914, he jumped into the Top 10 even though he had only won four matches. The victory on Friday secured him a spot in the Top 5 after playing only four matches. Ken Jennings is the all-time GOAT in Jeopardy! history. But it looks like Holzhauer is giving Jennings a nice sweat. According to The Jeopardy Fan!, Holzhauer passed Austin Rogers and Matt Jackson to move into fourth overall. If he wins one more match, he should easily move into second all-time behind Jennings. Holzhauer returns on Monday to defend his crown.